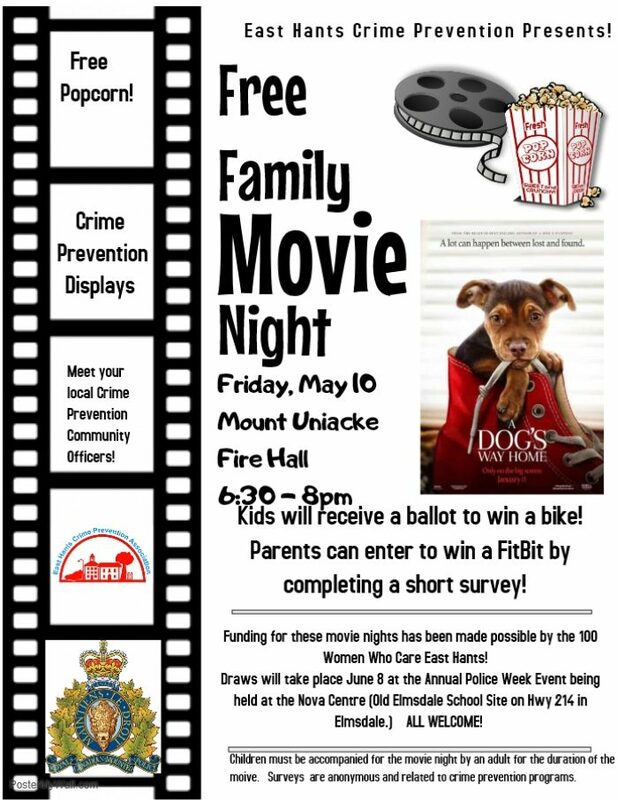 East Hants Crime Prevention Presents A DOG'S WAY HOME (please note that the original movie A Dog's Purpose that East Hants Crime Prevention was going to show has been changed to A Dog's Way Home as it has been determined that the original movie is not happy enough. We apologize for any inconvenience). Hope to see you there!